Bobby Brown, Henrik Harlaut and Alexis Godbout meet in Narvik, Norway. The goal: Hitting backcountry jumps with the fjords of the Lyngen Alps as a backdrop. Bad weather forces the crew to change plans and head to Are, Sweden for what turns out to be the best jump session of their lives. A funny tiny kicker versus one of the biggest kicker !! Two different atmosphere ! What's your favorite ?? Joss Step over kicker session!! 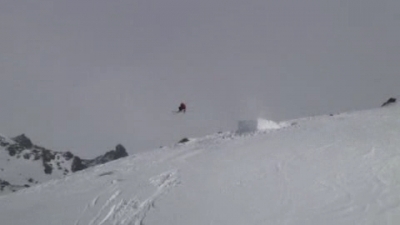 Freestyle.ch - Big Air Highlights presented to you by Skiers.dk. 4bi9 shredding the Baby Park at Mt Snow Vermont with Tom Wallisch and Henrik Harlaut. Discover SNOW, the most authentic winter sports game to date and experience the true meaning of freeriding and freestyle. Explore a massive open world mountain packed with unique features and detailed environments. Stand out among other players by equipping the latest clothing and gear from over twenty of the biggest brands in the world. SNOW will be available in Open Beta on January 27 on PC and later in 2016 on Playstation 4!